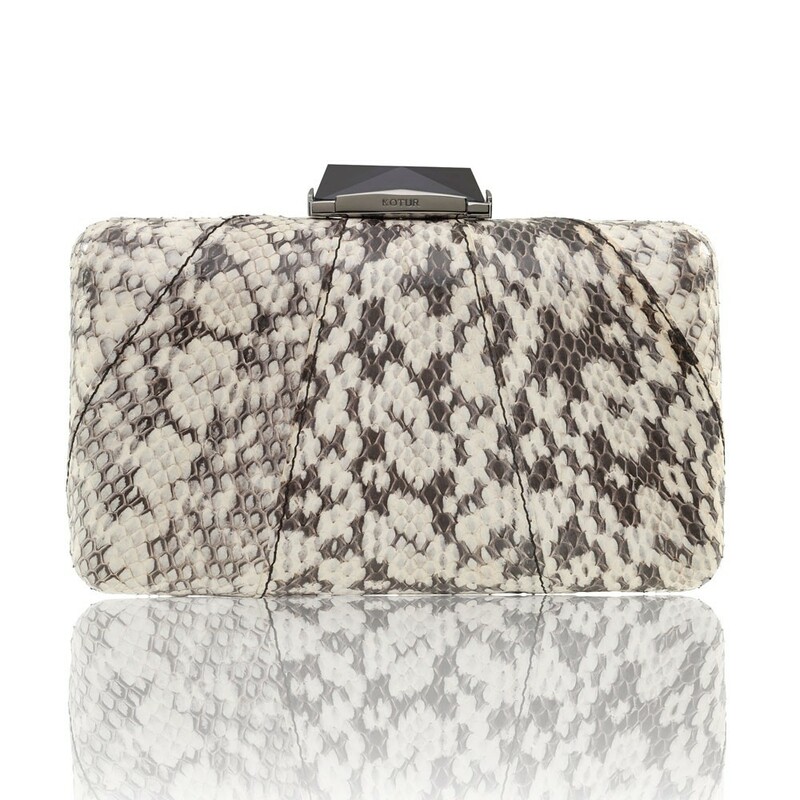 The Espey Elaphe Natural is a rectangular box clutch wrapped with classic natural snakeskin. 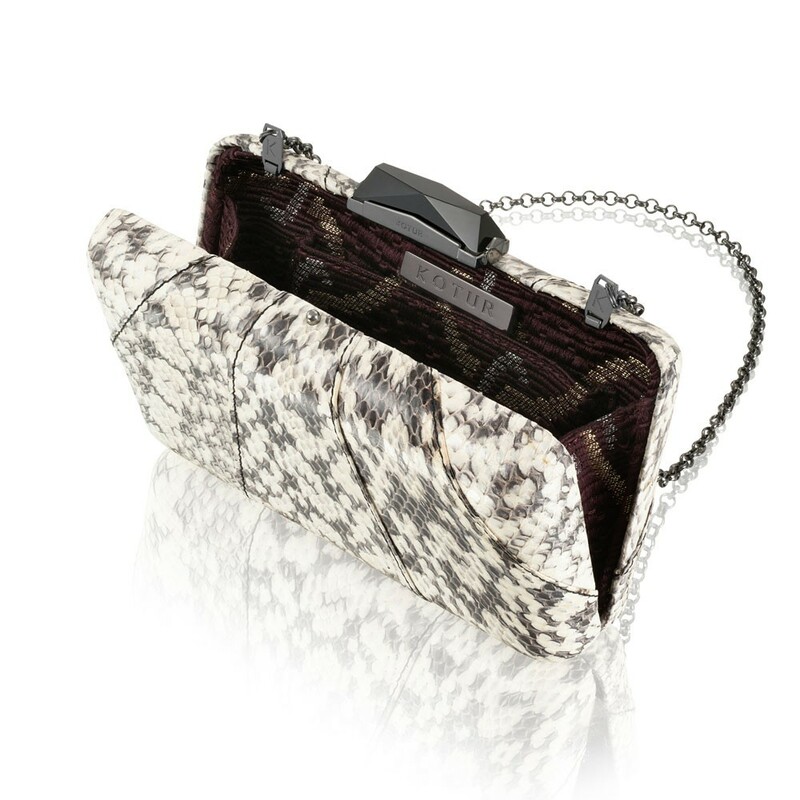 With a cut glass clasp, KOTUR's signature brocade lining and featuring a drop-in shoulder chain, this medium-sized minaudiere fits up to an iPhone 6+ plus evening essentials. This item is made of exotic material and that shipping time may vary, to allow for processing of appropriate customs documentation. Abigail Spencer carries KOTUR's Espey Snakeskin minaudiere to the Creatures of the Wind NYFW Spring 2015 show.